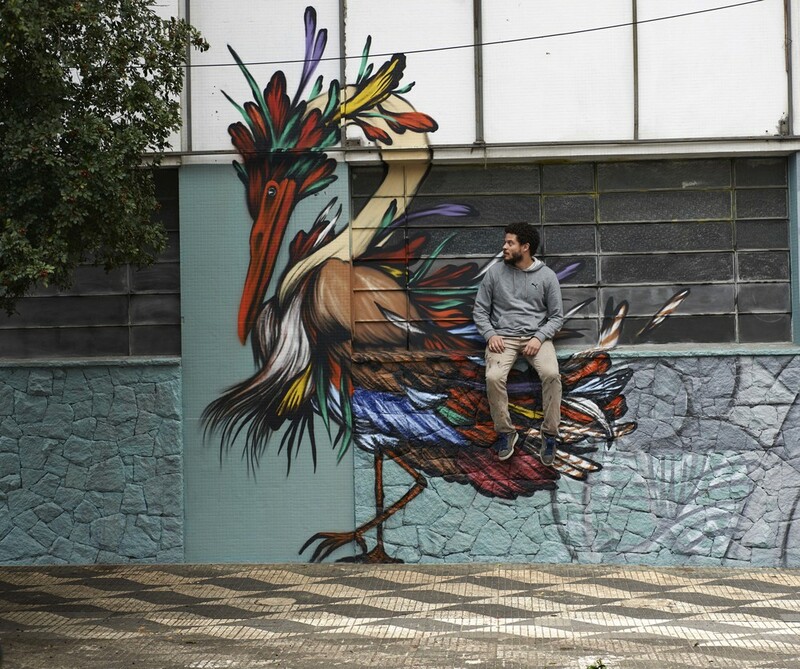 Born in Itajai, a small town surrounded by nature of the south of Brasil, Mateus Bailon currently lives and works in Sao Paulo. 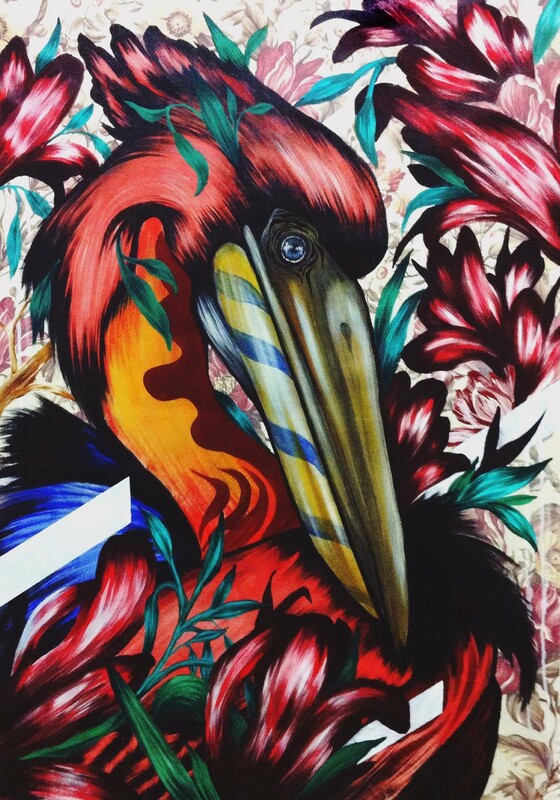 Inspired by myths, worldly folklore (especially from Amazonia and Asia) his works seeks to recall the connection between the human being and nature. By making use of opposites and using different techniques, Bailon creates his own original, mysterious and poetic language. Full of colors, his drawings and paintings are always very expressive. 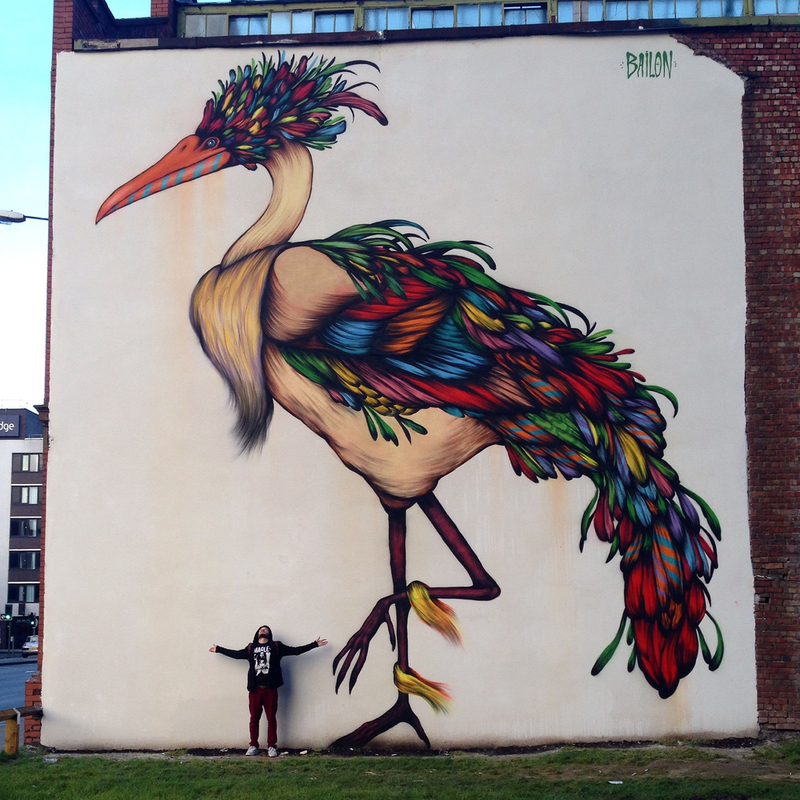 Mateus Bailon brings nature in the streets of Paris, Sao Paulo, Rio de Janeiro, Manchester, London for years now. Bailon has been exhibited in Brasil, Roma, Barcelona, Paris, London, Manchester and Miami.